Sarah Ritch was right. 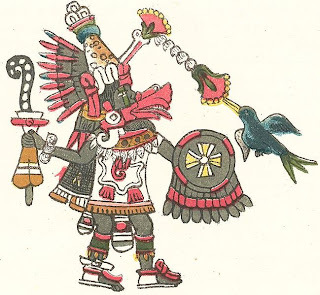 Quetzalcoatl rules. I think this will be part of my next series. The Birth of Venus show at Skummi + Co. on Saturday night was spectacular! Enjoy some photos! Also, I didn't realize that Kurt McRobert has a website now. Follow his blog as well! I'm printing a book of drawings, I don't think they will be ready for mocca, I may do a few xerox versions. Stay tuned!